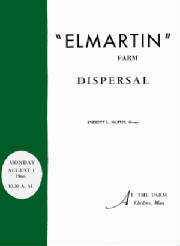 During the ongoing years of Gus and Dodi Martin's current ownership of Elmartin Farm, there have been dispersals and the rebuilding of herds. What looks deceptively simple and pastoral when one views either a herd of cattle chewing its cud* along a side of a road... or a photo of a cow being milked... is far from it. 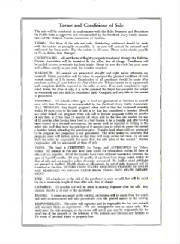 It is detailed and difficult agri-business, throughout. 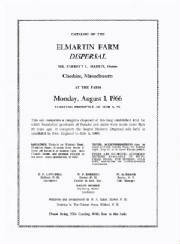 Below, is the 1966 dispersal catalog for Elmartin Cattle. While the lineage of the animals is straight forward, the numbers may be meaningless. They are not! 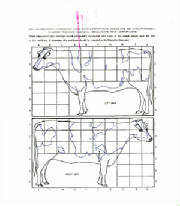 During the year, Milk Testers measure the volumes of milk produced by the cows. These numbers reflect the cows productions volumes so that a potential bidder at an auction can know whats "under the hood," so to speak. 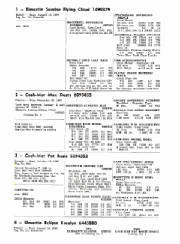 Additionally, the numbers after the animals name reflect the official registration number of the animal provided by the respective breed registry. 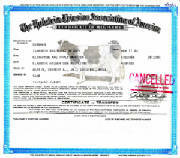 Just as many nationalities have protocols is naming children, so it is with naming the progeny of cattle. 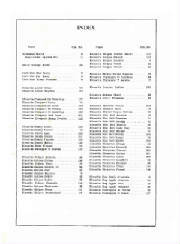 Simply stated, at Elmartin Farm a naming system for registering new cattle was composed of three parts: 1) The farm name. 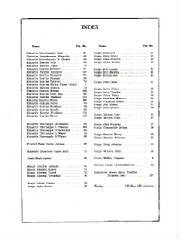 2) The sire's (bull) name. 3) The name of the calf, the first letter of which is the same as the dam's name (cow). 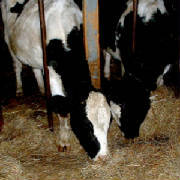 There was also a protocol for a cow/dam which is brought into a farm while pregnant. The calf name reflected the farm name at which the dam conceived. Let's take a look at a few name-signs of cows which once were kept at Elmartin Farm.